November means Thanksgiving. December means Christmas. January means a brand New Year. And if you work at FaveCrafts.com and Prime Publishing LLC, January also means CHA! Every January a group of lucky editors board a plane and head out to sunny Anaheim to explore the Craft and Hobby Association’s Mega Show. In addition to walking the floor of this massive and exciting crafty convention, we also get to throw one heck of a party every year! This is honestly one of our favorite events of the year as editors. It lets us connect with our favorite companies, favorite bloggers, and make brand new friends. If you’ve ever been in a room full of crafty and creative people, you know things can get very animated and exciting. 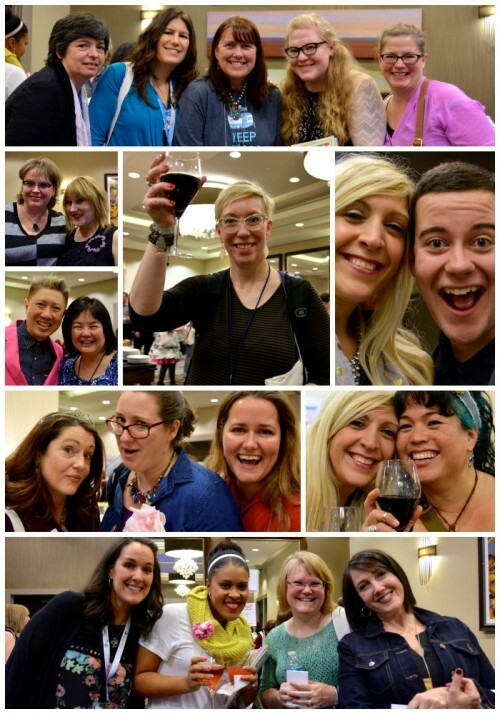 Networking can be a drag in most settings, but with crafters, it is one of the most exciting things we experience every year. 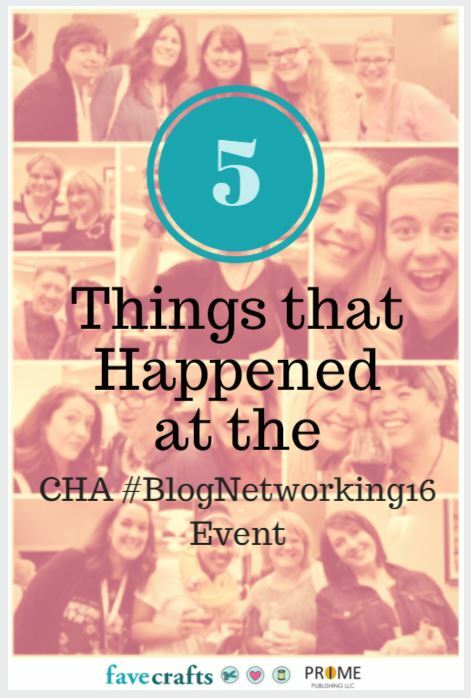 Our CHA #BlogNetworking16 was a roaring success and we have all of our crafting buddies and favorite companies to thank for that! All of our favorite companies showed up and showed off! Look at all of these exciting new products and smiling faces. A very special thanks to the following crafting companies for joining and SPONSORING us, allowing us to host this super fun and thrilling yearly event. We could not have done without you! The Prime Publishing editorial staff took a break from editing and crafting to have some fun! Traveling to California meant we got to step away from our desks, dress up, and meet up with our favorite bloggers and companies. As editors, the Prime Publishing LLC staff loves bringing your engaging content each and every day, but we love getting out of the office, too! 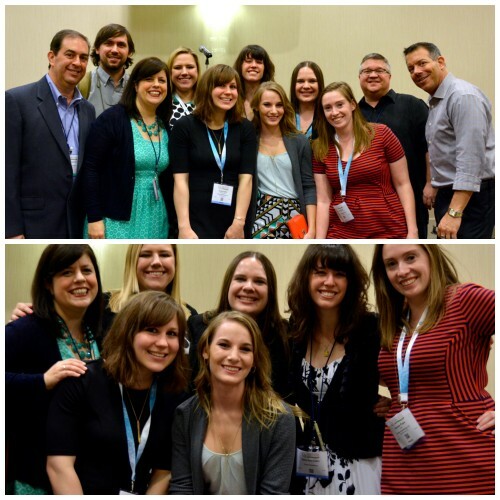 Some of our favorite bloggers showed up, had fun, and drank wine! Creative and crafty people sure do know how to have fun. 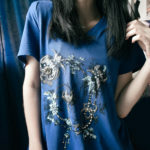 Check out these fantastic pictures of some of our fave bloggers chatting about crafts and more. Did you know that Prime Publishing LLC publishes food websites, too? 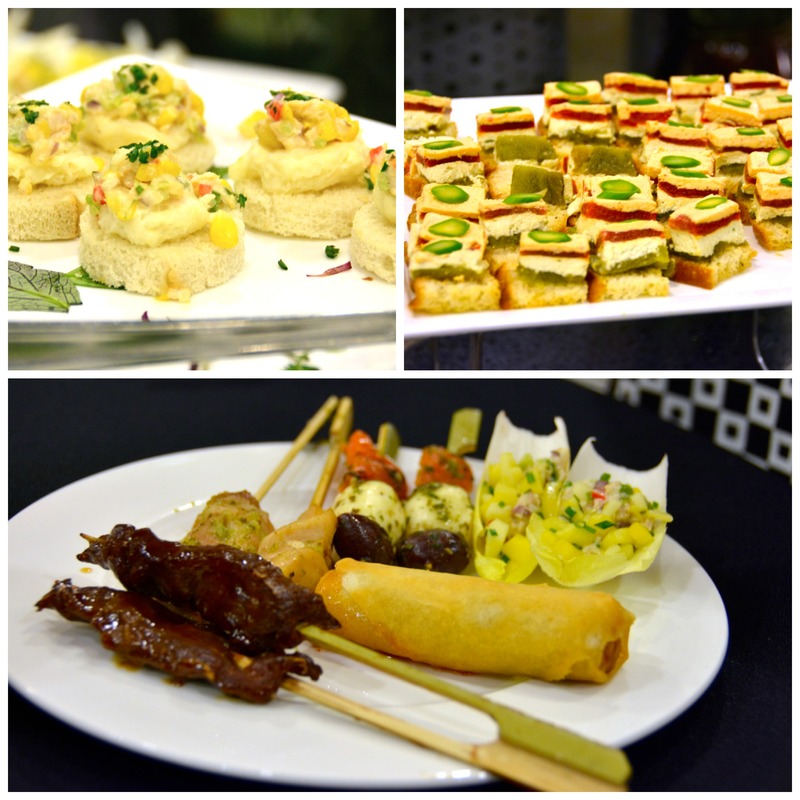 So, it stands to reason that the appetizers at this shindig were AMAZING! Check out these delicious photos. Sorry if we made you hungry. Last but not least, we overdid it on the swag. So, we’re giving it away! Don’t be disappointed that you missed out on the fabulous party. We would have loved to see you there, but we are going to make it up to you. 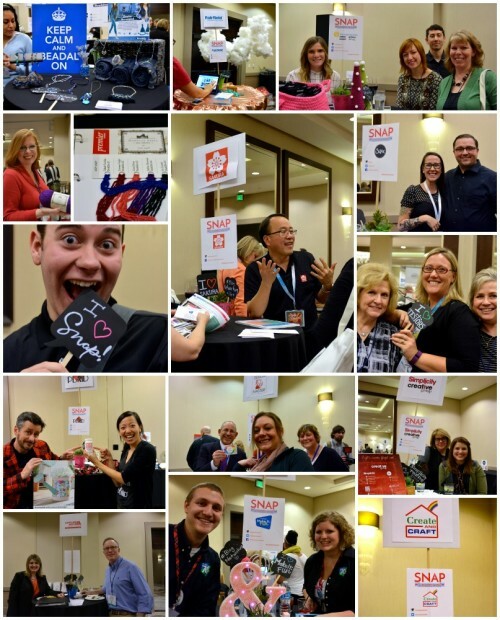 Comment on this post to enter to win some crafty swag we picked up at CHA 2016. Winner will be announced here on the blog February 22, 2016 as well as contacted by the email address provided. You have until February 21, 2016 at 11:59pm EST to leave your comment on the project above. Comments posted after that will not be counted. We’ll be in touch with you regarding your prize! Thank you to everyone who entered. What is the best crafting advice anyone has given you? No matter what craft you choose to do, make sure you enjoy it. If you don’t enjoy it then you shouldn’t do it. The best I was given was to take my time, have patience and not to give up on the project or myself. Trying to get back into scrapbooking after a number of years, I kept agonizing over having everything organized, in order, and fully stocked. My oldest daughter finally said “Mom, just start! ” She was so right. Looks like it was a great party! I’d love to win a “goody” bag. Thanks for the opportunity. The best advice I’ve ever received is to believe in myself and my craft. I tend to be too critical of my own work. Looks like a good time was had by all. I could use some of that swag for a baby shower I’m giving my grand daughter in April. Thanks to you all for giving away all those goodies. Good luck to all that reply! The best advice I’ve been given is to “Always be willing to try new things”. The best advice anyone gave me is: When crocheting a starting chain use a hook 2 sizes larger. Then for Row 1 switch to the desired hook and crochet in the back loops of the starting chain. It makes the starting row exactly like the ending row. This best advice I ever received about crafting is to try out anything that flicked an interest, continue updating those skills I’ve already learned, and, most of all, remember to have fun and enjoy any craft I do. It looks like everyone had a great time. I’m sure there are a lot of crafters wishing they cold have been there. The swag looks like a lot of neat things. Good luck everyone. Any mistakes can be fixed. So relax and enjoy. I was given this advice when I was first learning. So wishing I could have been there for the fun and learning. I was once told never stop learning and that advice has served me well as I continue to learn new crafts. I’m already excited for the next CHA. Would love a party bag. Looks like get together was a blasr! The best advice I received about my craft (crocheting) was to hold the hook the way it is most comfortable to get the most even stitches. Even stitches make the project look smooth, even, and well-made. What I learned the hard way ws to use all the same type of yarn and definitely don’t mix wool or wool blends with synthetic (acrylic) yarns (they shrink differently). The swag looks like enough different crafts to get one interested in several different crafts, enough to spend lots of money on the new craft. The best crafting advice I’ve ever gotten has been, organize your yarn, have a stereo tuned in to make sure you don’t craft for too long, and put your yarn away. I recently started using letter beads on ratings to identify what size hook my project calls for. That way I can put it in my WIP basket and know what hook too get. The best advice I was ever given was to find the thing(s) I truly love doing and just fly with it. So have I done for for many years and my crafting has never let me down! I mentor kids through a 4H Makerspace Group now and that’s what I share and encourage them to do. Looks like it was a great party and this looks like a great package- my kids would love this! The best crafting advice I’ve ever been given is to take it slow at first, and expect less-than-photo-worthy results at first. 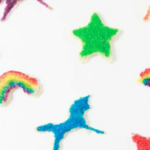 Also, to read FaveCrafts! The best crafting advice I’ve ever received was to “look it up on Ravelry”! Regardless of one’s concerns, there are so many people from around the world who have joined Ravelry, and such a plethora of Ravelry groups, that searching Ravelry first is more likely to help one find an answer to a specific crafting concern than a general Google search. For example, I’m just starting to experience occasional tingling & numbness in the hand I hold a crochet hook with, and Ravelry searches are helping me find practical advice about what to do to alleviate the symptoms — without giving up crochet entirely. Wonderful opportunity to sample crafts within your home while involving your children on their otherwise “boring” days! The best advice I have been given is to keep doing your craft. Practice, practice, practice. Don’t give up if it is something that you truly love to do. The best crafting advice I have ever receive…All that I can imagine my hands are able do it. The best craft advice came from my sister in crocheting and knitting: always do a test swatch to gage your project. This is because you may use the same size hook or needles but how tight or loose your stitches are can changes the whole project. I recently read a blog on organizing my fabric stash and I did it! I purged and organized and it is so nice now. The best craft advice I ever received was to keep practicing and to pay attention to the likes and dislikes of the customers so that I know what to make in the future. I love the swag! The best advice I ever got was from my aunt who taught me how to knit. She said never quit learning and 55 years later I’m still learning new things that I’ve shied away from before. This year it’s socks. I know every knitter will say socks are easy but that heel turn scared the heck out of me. When I first started crocheting, many times a pattern would stump me. My much older cousin gave me great advice. She said, put it down for the day, sleep on it, and the answer will come to you. Believe it or not, this worked way more often than not. Love all the new ideas in crocheting on the internet; so many good websites. Great ideas especially for beginners! The party looked like fun! Best crafting advice I ever got was to not rush and be mindful of what I was doing. Enjoy what you are doing and give your items the love you feel. This is a great crafty prize to drool over. Best advice: organize your supplies and perseverance will lead to success. It is so easy to give up when a project is not going well. Sometimes you need a break before losing your mind so move on to an easier project or get some exercise. When you return to the project you will have a new perspective. Then just keep at it and each time you complete a project you are one step closer to mastering the technique. Rome wasn’t built in a day and a shawl isn’t knit in one either! A good friend always to read the pattern and do as the pattern says. My best advice to crafters is Take time to smell the roses. If it is worth doing and you have spent many hours doing it, never forget you have a life outside the crafting. Breathing is fundamental so relax and go with your gut. Remember no two projects ever come out the same! So why are you freaking out yours does not look like the picture of someone else’s work? Best crafting advice is that it’s ok to buy and save things (materials) for later. You never know when you will need them! Now my daughter knows I always have something to make her projects come together. Best advice I’ve gotten is to not point out flaws in my work. The flaws make them unique, one of a kind. Besides, I am probably the only one to notice the flaws. Best advice was to organize your supplies and not to over-purchase supplies. It’s so easy to buy supplies and wait until I have time to do a project, but I’ve learned that I only do about 10% of what I think I will do! The boxes, drawers, and stacks of unused supplies get in the way of the projects I actually do complete. 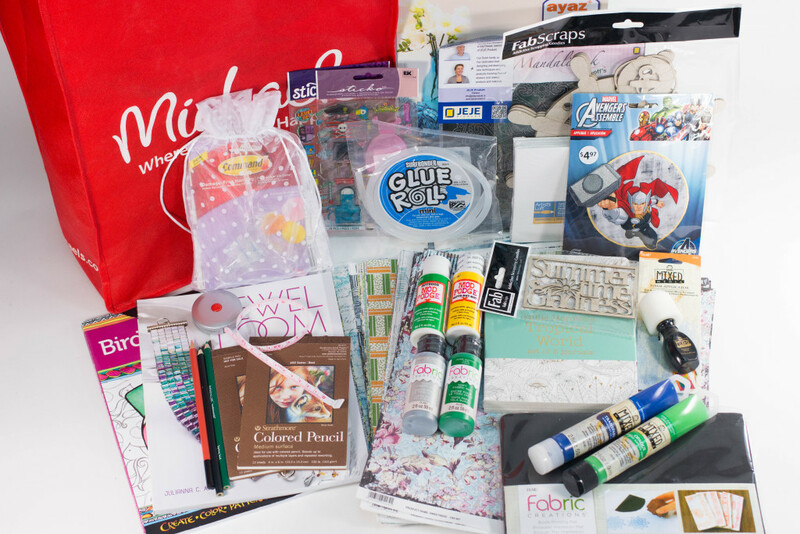 So, of vourse, I’m entering a contest to win MORE supplies! As to craft advice, and I have asked for and received lots of it, the best tip/advice was relax and have fun! Crafting is supposed to be fun and you have something when you’re done! 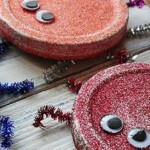 If it stresses you out (long term) to do a craft, it may not be for you. This took the pressure off! I love to learn, especially crafts, but often found myself frustrated because my work did not look like the example or I just didn’t get it. By relaxing, I came to like MY version of a project and, unfortunately, gave up some craft projects because they just weren’t my thing. I now enjoy all of the various crafts I do. So now, how do I add more hours to the day so I can do more of them? The best crafting advice ever given to me was , “just put your heart and love into anything you make and it will always be perfect and remember to always enjoy what you are doing, once you quit enjoying doing crafts, its time to stop”! To really enjoy crafting, let loose, let imaginational juices flow,and just have fun with it. Don5 take everything seriously. Get a little crazy. You might really be surprised at what you can make. I think the best advice I was ever given is that there are no knitting/crocheting/quilting… police. Choose your own colors, do it you’re way & if you make a mistake – turn it into a design element! The best advice I’ve gotten is to keep all my craft items organized. Then when I want to do something, I know exactly where the correct material is. Thanks for this opportunity. Good luck everyone. I would have love to have been there. There are so many things I’m sure who ever will have as much fun as you did going. Best advice from a friend when I was learning to sew, take your time, don’t skip any directions and you will become a great sewer. Best crafting advice I ever got was to never give up on a project that I really loved, even if it was causing me problems because of the instructions, type of material or something else. Your project is uniquely yours so it doesn’t have to be exactly the same as the pattern. The best advice I’ve ever received is to have fun and no one is perfect. Do the craft(s) you love to do the most and never apologize for loving it. I crochet to keep my fingers busy (arthritis) and make my own greeting cards with my mother for friends and family. I feel lost if I’m not crocheting something in the evening. Do what you love and sometime you got to work at, and you might get inspiration from the strangest places. I love to try new crafty things and what I don’t use, I share with my local library. The best advice,I never asked,but practice,and the saying”Idle hands means Idle spirit”. So enjoy! Never read ahead, only do one step at a time ! or you will get confused ! Crafting is a way to relax! Let your frustrations fade away while you create something unique, beautiful and homemade from common, standard items. Imagination is the limit to your success! The best advise I was given was by my grandmother, who taught me to Knit and Crochet, was to read the pattern through before starting the project. Your project doesn’t always look like the pattern, so practice makes perfect and don’t give up! Even if the craft is something you have never tried… jump right in and go for it ! Learning new crafts is SO much fun, and can really surprise a person. There is nothing that can’t be turned into something! Be creative with what you have. You can make something beautiful. Always make sure you have everything ready before you start. And I haven’t always listened, and trust me, I wish I would have listened lol. Best advice given…just CREATE! Though I find having supplies out in front of me helps to. I am a collage artist and have many elements that I have to decide in which order to put them. This changes constantly. I use clothes pins to hold them together. I also like having a tray that gathers immediate supplies! February is only tolerable if you have projects to combat the cabin fever and cold temps. Of course, I think the same thing about April showers, July and August heat, allergy season and holiday stress! Just believe in yourself, enjoy it, and get started. Always have confidence in your work. You are your worst critic. I love to make things and give them away as gifts. My mother saw some of the things I had made for Christmas presents, I’m not a perfectionist but am hard on myself. She loved what I had made and said “I would pay $10 for those for gifts next year. Believe in yourself! ” Even tho is was my mother, she is the type of person that won’t give credit unless it’s due. I also posted some pics to FB of a few wreaths/door swag that I had made and quite a few friends thought I should do my crafting as a second job as what I had made was prettier than what was available in the stores. Best craft advice ever, from a Hawaiian Aunty who taught me feather lei making: whatever you hold as your Higher Power, pray befor starting your craft. Relaxes, centers the mind and helps create stores of patience! The best crafting advice I got was from my Grand father, he said to always do your best, as long as you enjoy what your doing it’s the best! Don’t worry what others think, it’s yours and one of a kind. I hold that with every craft I try and do..
Have fun with it & don’t be afraid to try different things. That’s the best advice about crafting I have been given. I’ve recently switched to paper crafts from needle crafts – but when it was needle crafts – it was “a happy stitcher is a happy ripper” referring to having to pull out stitches to correct a mistake. Also, “only you know that it isn’t “perfect””. I’d love to include the drawing supplies in this year’s Mother’s Day gift, and the coloring book would be handy since I’m supposed to do those as vertigo therapy. That crafting is relaxing and good for your health. At times I wish I didn’t have to work outside the home. I’ve so many interests in all areas of crafting. Roll on retirement! I keep buying and stashing, so I won’t be bored when I do retire! Don’t obsess about mistakes no one will see them but you. They will just love their gift. Enjoy what craft you choose to do. Mistakes happen no one is perfect. Take your time crafting. You know that your first project will never turn out as “perfect” as you expected. But have fun doing it and keep trying! To simply love what I do, the rest will follow. Always do your best at anything you make. People will love it. The best advice I was given was to keep organized, but more importantly, to keep things in view so I will use them and be inspired by them. The best advice ever given was to enjoy the process of whatever you are making. Your enjoyment will show through in the finished project. “There are no knitting police!” I tend to take my mistakes a bit too seriously and this advice has become my mantra when I start feeling fiber stressed. Best advice I received and that I give to others is to relax and enjoy your crafting. The best advice I have received is to love what you are doing but also not be afraid to step out of your comfort zone and try something new every once in awhile. “Just do it. A little everyday.” This was the best I received and it worked. I learned that it’s okay to make mistakes. You can always take the whole project off the needles and start over. We should never be afraid of mistakes. They only make us smarter. Never be afraid to begin again. Take away from this as much or as little as you like. Always be willing to try new crafts and new craft supplies. The best advice about crafting anyone’s ever given me was back when I first took up paper crafting. I had built up quite an abundance of things to craft with, but had no idea of where to begin. I felt extremely intimidated & overwhelmed by all of it!! This awesome lady I’d bought some things off of told me that I wasn’t alone & that a lot of crafters felt the same way when they started out (& from some of the posts I’ve read she was absolutely right). She adviced me that there was no right or wrong way to craft & to just do what felt good to/for me!! I still follow that advice whenever I’m feeling overwhelmed!! I’m enjoying all the different paper crafting I do, more than I ever imagined I would!!! I’ve discovered it can be extremely therapeutic & relaxing, especially creating mixed media & art/junk journals!! That same lady has given me a lot of wonderful advice, ideas & help over the years, but her advice in the beginning is what empowered me to take that giant leap & start creating & enjoying the best thing that’s happened for me in a long time (Thanks Rennie…U Rock)!!! The best advice I ever received was from my Mom. She told me to read all of the directions first and get all of my supplies together before I begin. The best crafting advice given to me was to not be afraid to try something new, a new technique, a new project, a new craft, a new style, etc. The best advice I got was how to press correctly. I worked with someone who went to seminar. She showed me how using a point press, a ham & a sleeve roll. It looks very professional & makes a difference in your sewing & quilting. If at first you don’t succeed, Keep trying. This was told to me when I was a little girl and I have never forgotten it. Crafting is my greatest adventure, so no matter what I try, it will be enjoyed. Oh wow! i had no idea there was a conference like this. I love conferences and conventions but am disabled now so it’s hard to go. This looks like it was so much fun and the swag looks awesome! Thank you for this great contest! Best advice…please your self, you are your own worst critic. The best advice I was ever given was to remember that there are no mistakes in crafting, just detours from the original plan/pattern. Very generous of you to share the swag with a lucky winner! Nothing you do is a mistake. You just change it until you like it. I’m now 63 years young! I fell in love with crafting when I was about 8 years old and my Great Aunt Kathryn Corwin, who lived to a wondrous age of 104, taught me how to crochet! She told me to never be afraid to try something new. She said that the worse that could happen is that I’d decide I didn’t like a craft and then I could always try something else! What an incredible example she was! Make sure you have all your supplies ready, and if you can’t afford everything you need, improvise! The best advice I ever got was use everyhing in your arsenal.for help suxh as books, tv shows, videos, blogs, you tube, magazines,and friends to help in creative endeavors of all kinds. The best advice I have received came from a former co-worker. She told me it was OK to try new things. That it was OK to put that sticker there. Before that I was afraid I was doing all the wrong things with my cards and SB layouts. Sometimes we all need to know it’s OK to try something, anything. The best advice I ever got was to give myself permission to fail if I try something new and just can’t get the hang of it. Put it away and be willing to go back later and give it another try after that first round of frustration has dissipated There is a good chance that when you try again things will go more smoothly as your brain has been processing what you had been doing even if you aren’t actively thinking about it, and you may surprise yourself with what you can do..
Just try it. One craft can be turned into multiple crafts. Think outside the box. The best advice was just to have fun no matter what you’re doing and don’t be too critical of yourself. The best advice given to me, just go with what you like not every one thinks alike . Sometimes, less is more. If a project looks too busy, subtract from it or modify it. Make it yours, and don’t be afraid to walk away from a project for a few hours or a few days so that when you come back to it, you can get it “just right”. I’ve knitted since I was 8 and crocheted since I was 18. Knitting for over 50 years and crocheting for over 40. Lots of sweaters and afghans! DO YOUR BEST, MAKE IT YOUR’S BY DOING WHAT YOU LIKE. The best advice I was given was to just have fun and if you don’t get something right the first time try, try again!!! The best advice that was ever given to me was acutely from my husband. I had been working on a kit quilt for our oldest son for his birthday & I couldn’t figure out what the instructions were trying to tell me. So my husband read them and he pointed out the last line of the instructions that I didn’t read that said, try to remember to think outside the box & don’t forget to put a little bit of you in the finishing of this quilt. Well, that was probably the best part of the whole instruction. My son loved it & I learned not to be so hard on myself. Thanks for the contest & Luck Everyone. The best advice about crafting anyone has ever given me was back when I first took up paper crafting. I had built up quite an abundance of things to craft with, but I had no idea of where to begin. I felt extremely intimidated & overwhelmed by all of it & was worried that whatever I made wouldn’t be good enough because I didn’t know what I was doing!! This wonderful lady I’d bought a bunch of crafting items from told me that I wasn’t alone & that a lot of crafters felt that way when they started out (& from some posts I’ve read she was absolutely right). Her advice was that there was no right or wrong way to craft & to do what felt good to me & for me!! She also suggested checking online to get some ideas to get me started, which made a huge difference when I did my first few projects. I am enjoying paper crafting even more than I ever imagined I would. I’ve discovered its both therapeutic & relaxing, especially when I’m creating in a mixed media or art/junk journaling!! That same lady has given me many terrific ideas, & a ton of help & advice over the years!! But it’s her advice in the beginning that encouraged me to make that giant leap to begin creating & enjoying the best thing that’s happened for me in a long time (Thanks Rennie…U Rock)!!! Practice makes perfect. And it does not have to be perfect. It makes you happy then it is perfect. I was told long ago to use your imagination, go wild and see what happens, you can never go wrong when it comes to art. The best advice I’ve been given is not to expect my first attempt at a technique to be perfect, and to be patient and learn from my mistakes. Don’t keep things TOO tidy. Let your inspiration spill into your vision, then follow where the whimsy takes you. Nobody wants another hat. (Wrong! I’ve been asked to make hats to replace the ones that have been worn to tatters.) But it did move me into learning to read patterns. dedication that is crafting to me, no matter how much work a project need to be done , is a great feeling when is finish. Any crafting is a great way to loose yourself in the creative process that is so therapeutic, relaxing and de-stressing, and of course enjoyable. Best advice I ever got was – don’t be afraid to rip it out and re-do it! We learn from mistakes, and we ALL make ’em. Keep things neat and organized, enjoy what you do and have fun doing it, don’t be afraid of making a mistake and if you have a question, find an answer. Be open to trying new techniques and activities even if I don’t do well at first. The best advice is that it doesn’t have to be perfect.if youlove it ,It’s ok. The best crafting advice anyone ever gave me is that only the Creator can make perfect things and he/she left in some oddities/mistakes and so can you as a craft creator! Let there always be fun to crafting and if there is not fun don’t waste leisure time on it because then it is just work. Don’t give up on your mistakes; if you messed up so badly that you’re ready to scrap the project all together, don’t toss it out. It all can serve a purpose. Let the creativity flow and repurpose that mistake! I wanted, do my own thing! The best advice – always try something new! It spices up what you already know how to do! I recently bought a Sissix texture boutique, been wanting to give embossing a go on handmade invites and stationery and the best advice I’ve been given was how to make my own embossing folders – especially useful for monograms or adding a swirl to match a printed design on an insert, etc. The best advice I got was to never give up. Te best advice I have ever received was to have more than one project going at one time. When you get bored or tired of one project you can switch to another to give yourself a break. Then go back to it when you are refreshed. Measure Twice, cut once is the best crafting advice I’ve ever received as it can be applied to other crafts besides woodworking. It tells us to double check before going on , and I think that can be applied to most any craft. The best advice I have gotten was from my grand-mother ,(Mummi) love the needle point I made for. She said that you’re in love with yarn projects, just as I am. Never be afraid to push yourself beyond your comfort level. If you can do that with yarn projects, you can do that in life. I have come to CHERRISH those words, more so since her passing. If you know anything about Finnish people you’ll understand why I try to live by those words. The best advice I ever got was don’t ever give up on yourself. No matter how hard the project seems there’s always a way to figure out how to make it work even if you have to change the directions a little to fit your skill. 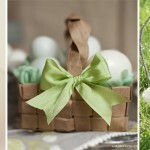 To be sure and enjoy whatever craft project I am doing and it doesn’t matter if I make a mistake – it can be corrected. Even if you aren’t happy on how something turned out you keep trying because creativity is in the eye of the beholder. Thanks for the great giveaway. Try it. You’ll never know if you can do correctly and have it look good if you don’t try it. My grandmother taught me how to crochet at a very young age. 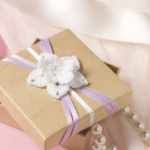 Every year, she would crochet gifts to give to all our friends and family. And, every year the recipients of these gifts would ‘ooh and aah’ over their handmade treasures. One year, I decided to crochet gifts for everyone, as well. However, being young and inexperienced with crochet, my gifts did not look quite right. Some stitches were bigger, some were smaller, and altogether, it made a pretty strange looking gift! I cried to my grandmother and told her that I couldn’t give them as gifts because they weren’t pretty like hers. She sat me down and wiped my tears, then she told me that everyone would love my gifts because each stitch in them was filled with love that would spill onto the person when they opened it. She was right! That was the best piece of advice I’ve ever received. Enjoy yourself and don’t stress too much about it. 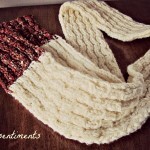 The best advice that was given to me is simply to enjoy knitting while I am doing it, and not to stress to finish it. So the journey is better then the finish line. I thank the Lord everyday that He gave me the gift of knitting. Best advice I ever received: “only you see you’re miss-takes. It’s really is perfect because it’s made by you and you put your heart into it….” That and “if you can imagine it, you can probably make it. Just give it a try.” I’ve never thrown anything out, I always manage rip/wrap/rework to make something I can be proud of. Thanks for posting about all the fun and food. Yes the pictures did make me hungry. As far as advice, I can’t remember any one thing that made an impact. I do know that my first teacher of crafts was a great lady who took on the volunteer role of teaching a room full of 4-H girls how to knit. I am 61 now and I still have the double-tailed hat that I knitted. It was difficult learning how but it was also very rewarding. I have been crafting every since, thanks to that one dedicated 4-H volunteer. The best advice I was given was to do a craft that I enjoy. It’s not something that you want to do if it’s not enjoyable and it becomes like work. Relax and just do it. There is no ugly art! I crochet and the best advice I was given was if you don’t understand the pattern all lumped together write it out-break it down and write it out. It helps to see things you don’t see when it is lumped all together and was a saving grace for me. As most have commented, try something new, if you don’t like it, move onto something else crafty. THe whole point is to have FUN. Thank you for sharing the goodies. No matter what craft I do I enjoy them all. It is very relaxing and helps ease the pressures of life. Never give up creating- let people know how awesome you are. Do what makes you happy! It is not necessary to keep up with trends or fads that are not your style. You are creating for you, your friends, your family. They will love it if your heart is in it. Wow… Looks like you all had alot of fun. So jealous. Thanks for the chance to win some swag though. The best advice I have been given would have to be to keep being crafty and artsy no matter what others say. There will be critics but there will be people who really do love what you create too. And always remember you are your own worst critic. 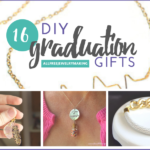 The best craft advice I have ever received was to use 40% and 50% coupons from Michael’s, Jo-ann’s, and Hobby Lobby when I want to buy supplies. So I do and am able to get things I normally can’t afford to buy. Have fun and try new things, you never know what you are good at until you try! The best advice I received was Have Fun. Crafting is to be enjoyed! There is no right way or wrong way or craft! Therefore nothing is ever wrong in crafting! My great grandmother’s response to my tearful mistakes was “we’ll put a bow on it”. In other words, anything can be fixed with some imagination. Best advice was if YOU like it, that is all that really matters. Keep experimenting if you are making things for others. Read the directions all the way through and make sure you have all the materials required. Do not substitute anything until you’ve made the project at least once as some projects will not work if you substitute one or more of the materials needed. Find something you enjoy & keep at it. As you gain experience, think outside the box. Making you own patterns & crafts is very rewarding. A detail that is not quite right reminds me I am not perfect. My husband said to me -‘ are you sure you have enough time left for all this stuff’? Made me stop and consider what I had, and so I donated, gave away etc the stuff that meant the least to me, and kept the stuff I really wanted to do. Freed my mind, and enabled me to enjoy what I did have. Kept him happy too. It’s so rewarding to finish a project and know that you did it all. Things made by hand for others show mch love and are greatly appreciated. This is why I like to make things for others and hope they enjoy them as much as I enjoy making them. Enjoy what you choose to do! Remember you see what you think are mistakes, others don’t. Don’t be too critical of yourself. The best advice I received was to take my time at what ever craft I was doing and have fun doing it. If it becomes a chore to do the craft then don’t do it. The best crafting advice anyone gave me was that crafting does not need to cost much money. There are many items that you already have that can be used in a crafting project. Let your mind open up and a you will find a project. I tend to use this when I think of a person and a craft, put together I find projects that I believe someone would like and I make it for them. My mom is a crafter, so i’ve been crafting since I was a child. My mom always encouraged me to do my own thing, what appealed to me, and not trying to make my crafts look a certain way. Art is expression! think of mistakes as learning experiences – besides imperfections add character! I’ve crocheted for 50 years. But my 10yo granddaughter loves all the crafting projects. So from her, I’ve learned to open my eyes to one-of-a-kind artwork, also to sing or hum while I work. And use glitter … lots of glitter. There is no such thing as “I can’t” and never give up. Best Advice: Try it once! If it doesn’t work out, try it again… Some crafts take practice. It’s ok to makes mistakes,there are easy to fixes.Relax and take your time on any projects, but mostly enjoy yourself while you are doing your project. To set myself free and do what pleases me. The best crafting advice I’ve received is to never give up: you need to relax, take your time, and enjoy! If you like to create different projects just keep crafting! My mother used to say, make time for doing your crafts; it wil keep you sane! Oh my goodness, thank you so much. I’ve never won anything like this before!! I’m so excited!! I can’t wait to start using all the wonderful goodies from this giveaway!! Thank you!! !